Smather's Beach has beach chair rentals, volleyball, sailboat rentals and more. 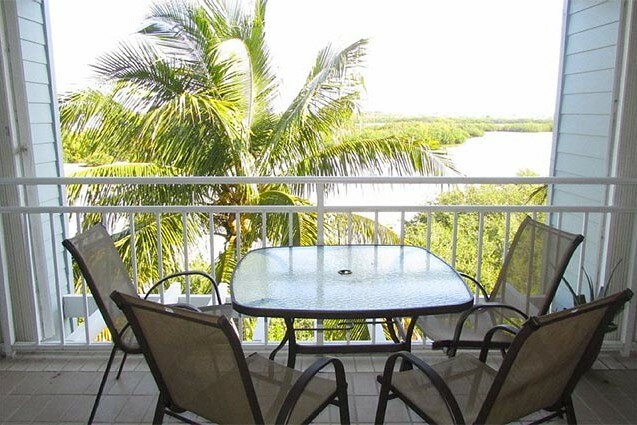 Enjoy a beverage while sitting on your porch overlooking the nature reserve. 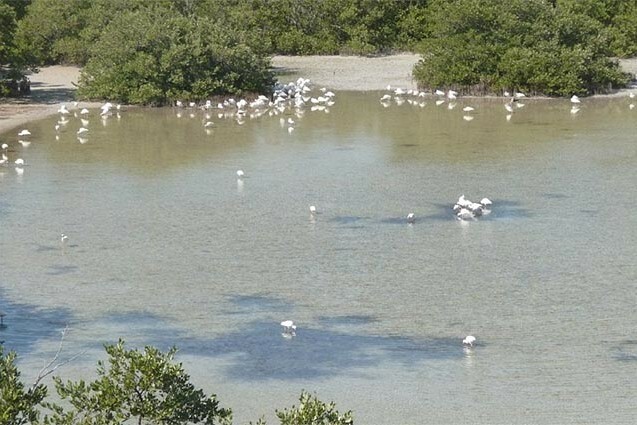 Key West's protected salt ponds. 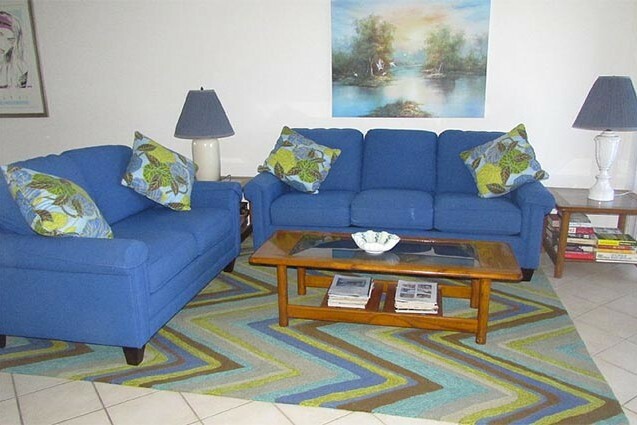 New sofa sleeper and love seat. 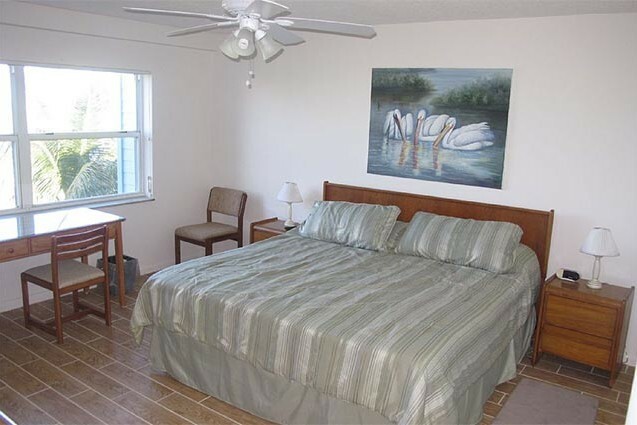 Master Bedroom with king bed overlooks the salt ponds. 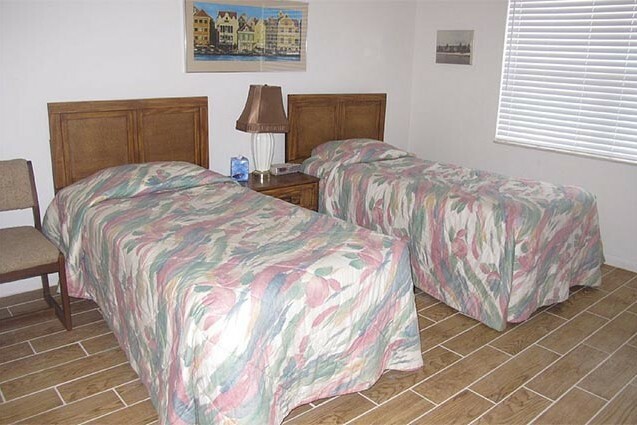 Twin beds in guest bedroom can be converted into king bed upon request. 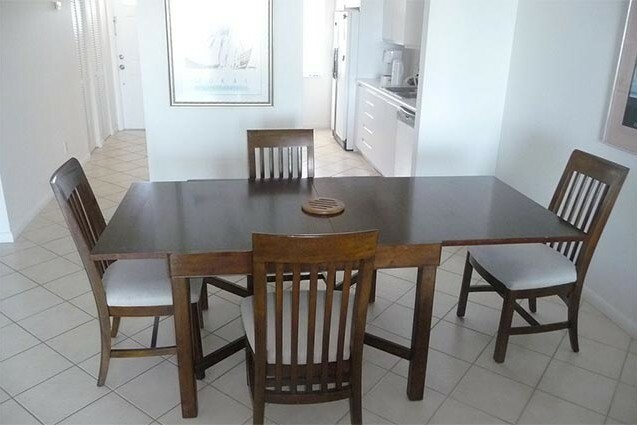 Dinning room table can accommodate up to six. 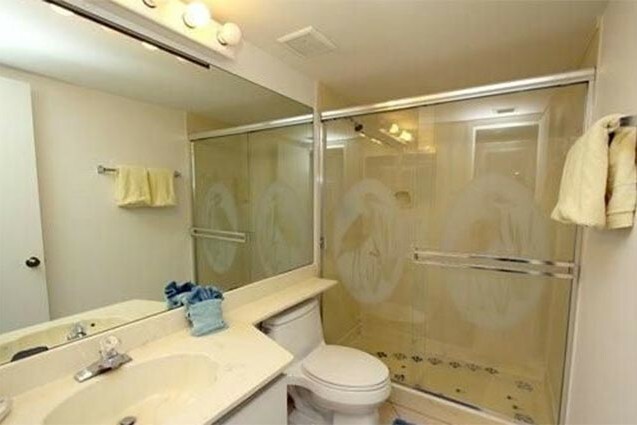 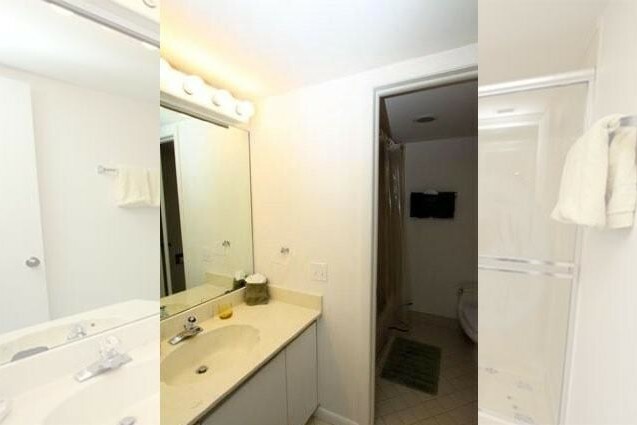 Master bathroom with shower and tub. 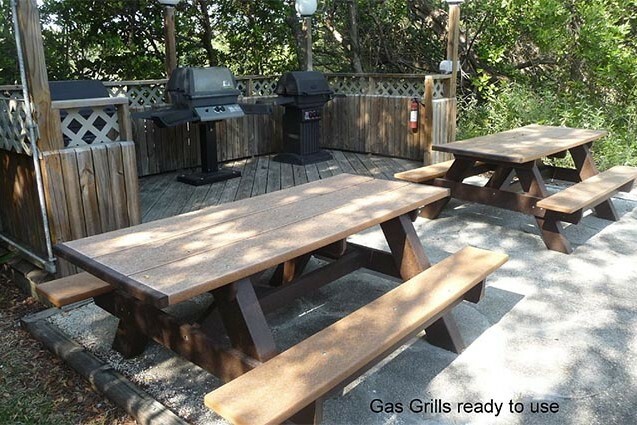 BBQ area with gas grills for your use. 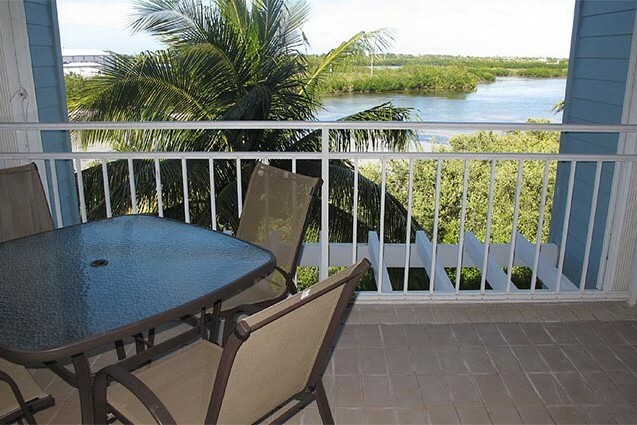 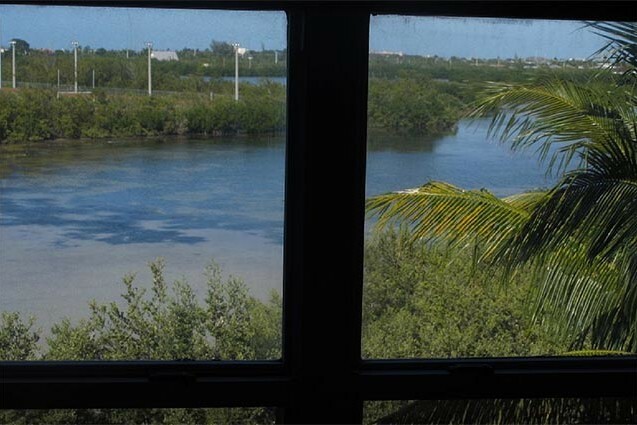 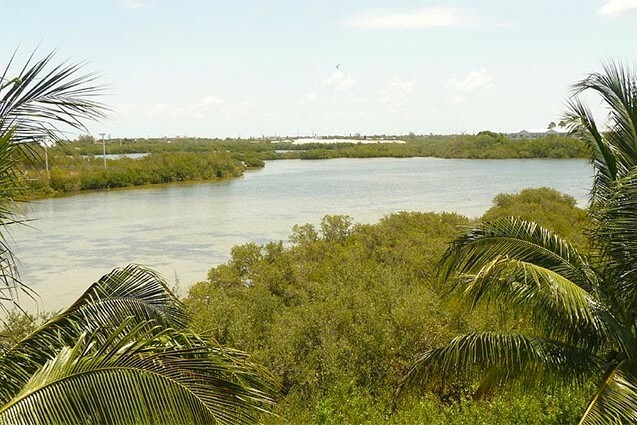 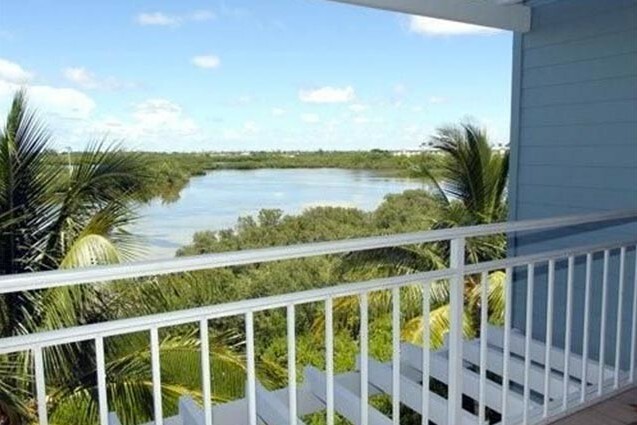 Nature’s Boutique offers you an exceptional view of Key West’s native birds right from your private balcony. 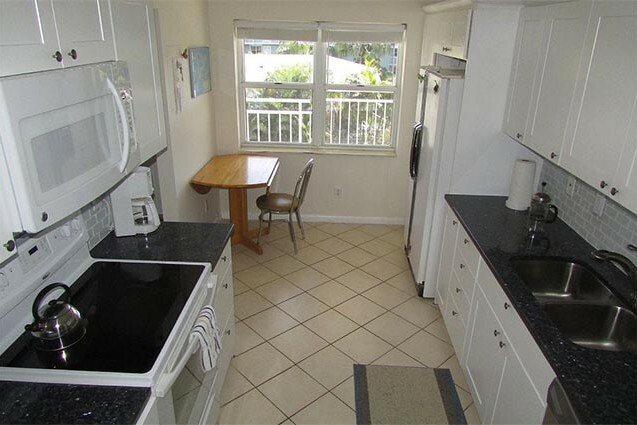 It is furnished with all of the comforts of home. 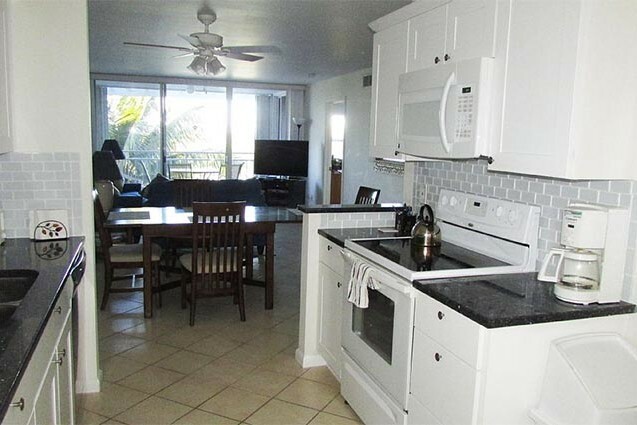 Large flat screen TV, ensuite bath, full laundry center, fully stocked kitchen, assigned parking bay and inviting open living room and dinning room. 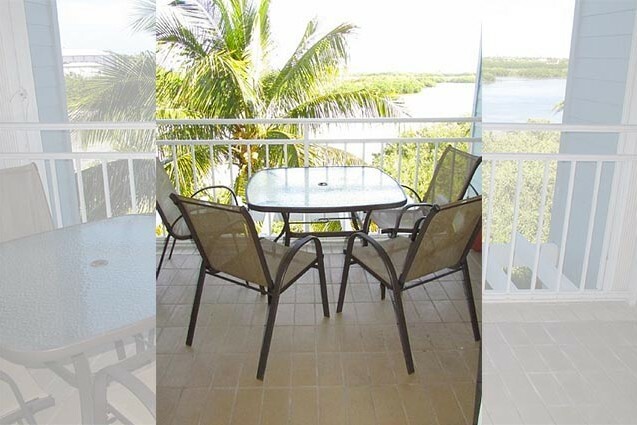 The bedrooms are furnished with a king bed in one room and two twin beds in the guest bedroom that can be easily converted into a king bed upon request. 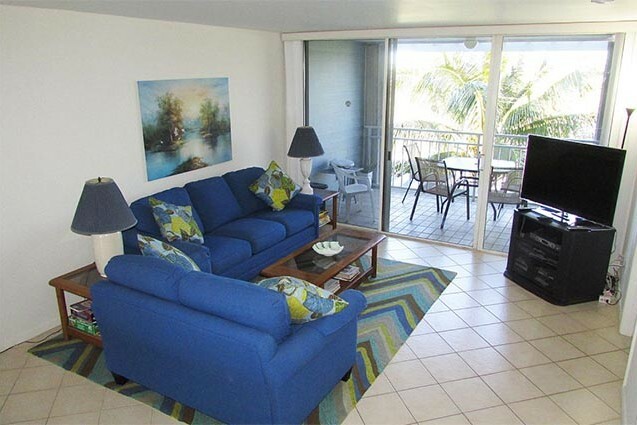 The sofa also has a sleeper for extra guests or family. 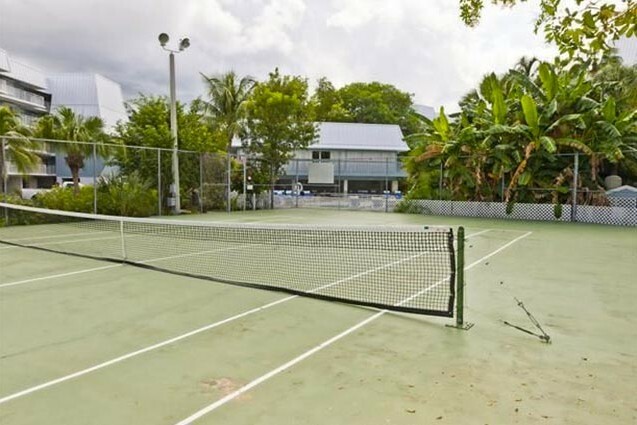 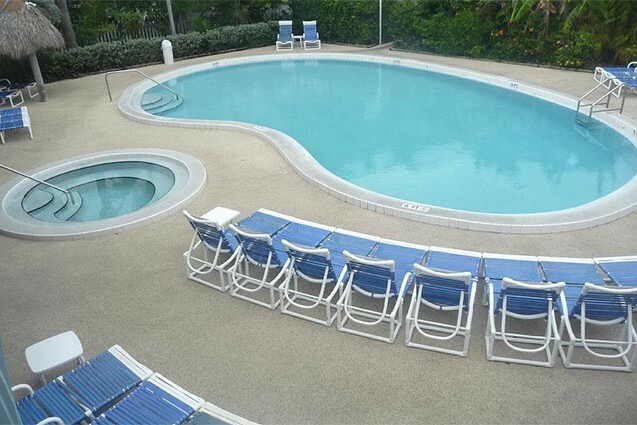 The resort offers a gated community with a heated pool that is so inviting, an outdoor jacuzzi to relax you, a tennis court and BBQ grills for your use. 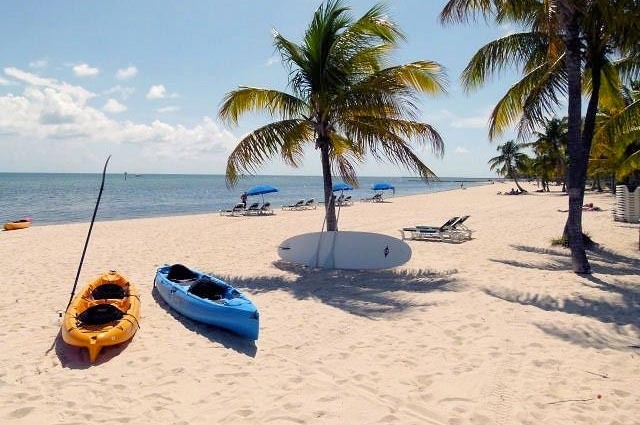 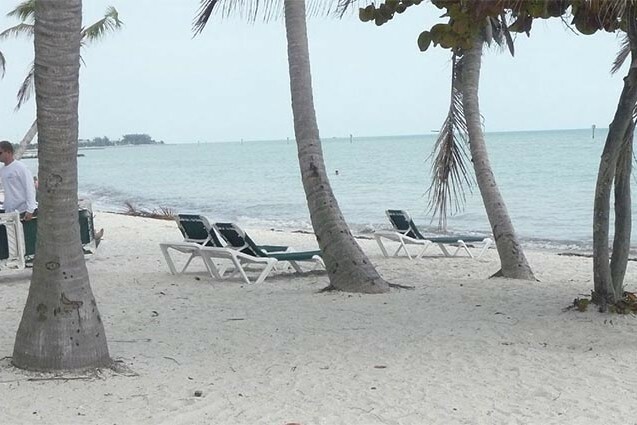 Come experience your dream vacation and enjoy, relax and take in a beautiful Key West sunrise!